Freshwater is an extremely limited resource on our planet and is critical to a large part of the Earth’s biological diversity. Healthy freshwater ecosystems play an important role in providing society with a large number of services such as water purification, carbon sequestration, food provision and flood protection. Yet, freshwater ecosystems such as wetlands, lakes and rivers, are experiencing the biggest loss of wildlife on the planet. Abundance of freshwater species has shrunk by 81% since the 1970’s. 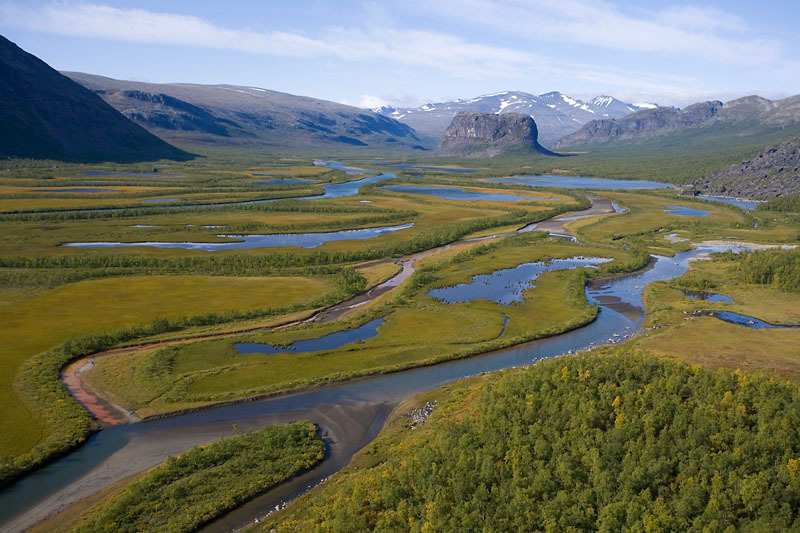 The implementation of the EU Water Framework Directive (WFD), the EU’s main legislation governing the management of its freshwater resources, has led to some dramatic improvements in water ecosystems and the wildlife dependent on them. However, the objective of the WFD of achieving good status for all Europe’s waters by 2015 has been missed by a long shot. Today only about 50% of Europe’s waters are estimated to be in good condition. Unsustainable agriculture, hydropower, flood defence and navigation are recognised as the main pressures preventing Europe’s waters to recover. That’s why WWF has joined forces with four environmental and fisheries organisations to form Living Rivers Europe. The coalition includes the European Anglers Alliance, the European Environmental Bureau, the European Rivers Network, Wetlands International and WWF representing a movement of over 40 million European citizens. First and foremost, we are here to defend the WFD and to make sure its goals and high environmental standards are NOT weakened during the ongoing evaluation. In short, we are fighting for the law to be signed off as ‘fit for purpose’ by the European Commission when they submit their conclusions of the evaluation in 2019. This is why, in October 2018, we launched the #ProtectWater campaign to encourage citizens in Europe and beyond to participate in the European Commission’s public consultation on the WFD. Both the campaign and the public consultation will be running until 4 March 2019. It is the only opportunity for the general public to have its say during the evaluation of the law, and the campaign provides an easy tool for citizens to express their support to keep this law strong and effective. 3. The maintenance of the Water Framework Directive’s high standards of water resources and ecosystem protection.